We offer a wide range of quality English courses in London to adults, including Everyday English, English for Business, Examination preparation (IELTS and Cambridge) and English for Specific Purposes. Students benefit from a curriculum developed from our experience and intensive tuition combining small class sizes and dynamic teaching, leading to fast progression and development of the language. 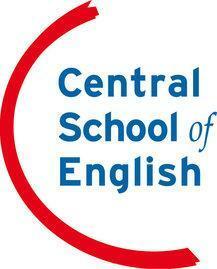 We offer a range of Intensive General English Courses with flexible start dates and timetables. Combine group lessons with individual tuition to maximise your progress in English. IELTS is the exam designed for students wishing to study at a British or Australian university and can be taken at a testing centre in London every week. This course begins every Monday throughout the year and the exams take place in London twice a month on Saturdays. We recommend you book the exam when you book the course. The Cambridge exams are internationally recognised and provide employers and some academic institutions with a clear notion of your level of English. A standard course will prepare you for the exam looking a exam skills (i.e. skimming and scanning a text for details), past papers and vocabulary expansion. The English for Business Course is designed for students with an interest in Business, who are studying business or those who are already working in business. Courses are tailor-made each week to adapt to the needs and goals of students. Business courses are fast-paced and varied, making use of original materials and course books for maximum results. Business English teachers are highly specialised and hold business qualifications such as the MBA.